Amazon has just unveiled its 3rd generation Fire TV Stick, which is the first version to support 4K Ultra HD video streaming. According to the company new Amazon Fire TV Stick 4K is the “most powerful streaming stick available” and is priced at just $49.99. The Amazon Fire TV Stick 4K is powered by a brand-new 1.7 GHz quad-core processor, which is capable of handling every modern video and audio technology, HDR, HDR 10, Dolby Vision, and HDR10+ included. The device features an “entirely new” antenna design pairs with a “powerful” 802.11ac Wi-Fi chip to provide a “more seamless 4K UHD streaming experience” making it slightly plumper than the previous generation model. The unit also includes an “all-new” Alexa Voice Remote at no extra charge, which lets you use your Fire TV Stick hands-free with your voice. The new remote comes with dedicated power, volume and mute buttons for compatible TVs, soundbars, and A/V receivers. 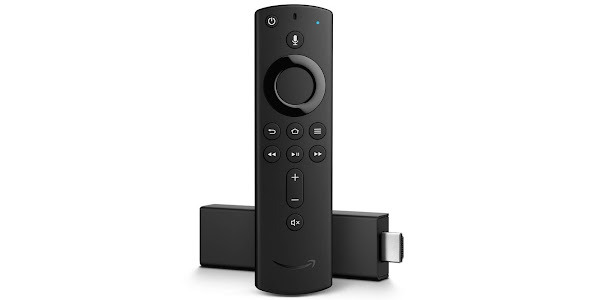 If you want to buy the Alexa Voice Remote separately, you can do so for $29.99 as it is also compatible with the previous Fire TV Stick version, as well as the third-gen Fire TV. Amazon is also offering a Fire TV Recast bundle which includes the Fire TV Stick 4K, its new Fire TV Recast DVR, and 35-mile HD antenna for $249.97, and the bundled Fire TV Stick 4K and Echo Dot for $79.98. The Amazon Fire TV Stick 4K can be pre-ordered starting today and will begin shipping on October 31, in the United States.